We have discussed numerous times the many steps you can take to start your very own moonbounce rental business, but to make things as easy as possible, were going to lay out, step-by-step, exactly what you should do if you want to have a successful bounce house rental business. Step one – Do your research. Before you even begin to look for a commercial moonbounce to purchase, you need to do a bit of research. Check out your area to see if there are any other bounce house rental business is operating, and if there are look to see what prices they are currently charging. Ask friends and family to speak with the air friends and family so that you can get feedback on whether or not this type of business with thrive in your local area. Step two – Get funding. 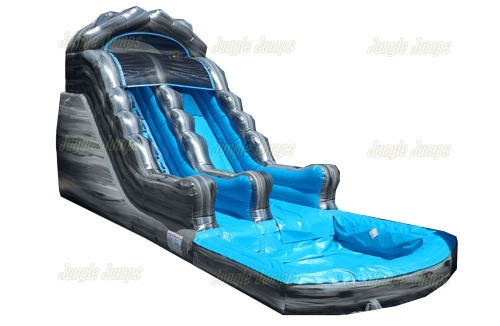 While looking at a commercial moonbounce to purchase is a great deal of find, it can also be very disappointing if you do not have the money lined up to purchase one. There are number of options for funding, from saving up to getting a credit card to getting a loan, and it really doesn’t matter which option you select, just make sure you have money ready to go before you even start to look at a commercial moonbounce unit for sale. Step three – Purchase your bounce house. Once you have funding and have done your research, it’s time to purchase your commercial moonbounce. Make sure you have located a distribution company that your comfortable using, and get ready to have fun selecting your units! Step four – Set up the essentials. There are a few things you’ll need to set up in order to start your business correctly, such as the business plan, and advertising plan, social media websites, and insurance. This may be one of the more boring parts about owning a business, but it is essential to have a good foundation for your business if you want to succeed. Step five – Stay on top of everything. The hardest part about being a business owner is that you need to stay on top of everything that is happening with your business. Most people find that the best way to do this is to get some sort of organized chaos going on. Make sure you know what is going on at all times with multiple calendars, and if necessary in list some help to keep yourself organized. Not everyone is equipped to run their own business, but unfortunately what generally happens is that people believe they have the ability to run their business and to purchase the equipment they need only to quickly discover that the business is not what they dreamed it would be. When this happens they have two choices – throw everything away or sell everything they can to try to recoup some of their losses. In general, people tend to try to sell their belongings. This leaves those who are looking to get into the bounce house rental business with interesting dilemma: do you start your moonwalks rental business by purchasing brand-new inflatables, or do you save a bit of money and purchased a used business? There are definitely a number of benefits to purchasing a used moonwalks rental business, with the main benefit being the ability to save money. Most moonbounce sellers are getting rid of their inventory simply because they want to try to recoup some of the money they spent on starting a business, and because of this they are generally likely to sell you their products at a fairly reasonable price. Is this, however, a good idea? Whenever you look at a used bounce house to buy, there are number of things that you need to keep in mind before making the purchase, starting with the quality of the moonwalks that you’re looking to purchase. Did the seller purchase high-quality moonwalks to begin with, or do they purchase shoddy products? How often was a used? If it was used only a few times, it is likely still in very good condition. If, however, it was rented out a number of times, the condition of the unit should definitely be brought into question. It can definitely be tempting to want to save money by purchasing a used moonwalks rental business, but unless you’re very careful you may find that you’ll actually spend more money by purchasing used business. This is because these types of units are built to last, but they don’t last forever. If you don’t know anything about the quality of moonwalks, you may also find yourself the owner of the unit that is not designed for commercial use. If you truly are serious about starting your own business, you may want to save up your money to purchase units brand-new rather than to purchase them used. Have you ever thought about adding packages to your inflatable jumper business? It is a common misconception that once you start your business, you need only to maintain it by advertising, connecting through social media, and following through with orders. While you certainly could do the simple things, it will not help your business to grow. In order for your business to truly grow, you need to be constantly thinking of ways to be more appealing to your customers, and one way to do this is to create packages. What makes packages so special, and why would you need to have packages when you run an inflatable jumper business? In the business of renting out moonwalks, most people assume that you contact the company, select a bounce house, order one, and that is all there is to it. While certainly can be as simple as this, offering packages to your clients gives them the ability to utilize everything that your company has to offer. Let’s talk about a birthday party package. It’s no secret that well-meaning mother’s and father’s tend to be the bread and butter for any inflatable jumper business, so why not offer them some sort of a great deal? Allow them the opportunity to order one moonwalk, or to order more for a discount. One idea for a birthday package might include having one moonwalk for one price, and adding on a second moonwalk at a deeply discounted rate. How does this help your business? 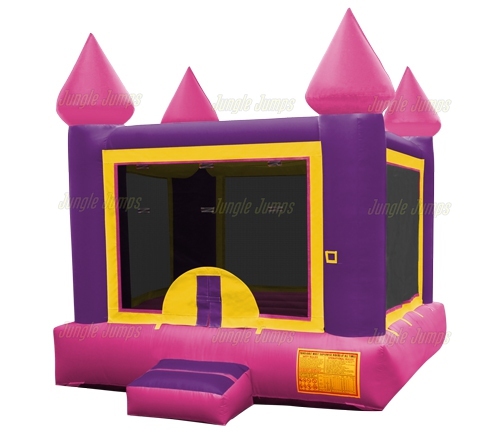 If you have a number of different bounce houses at your disposal, chances are fairly good that at least a few of them will not be booked on weekends. 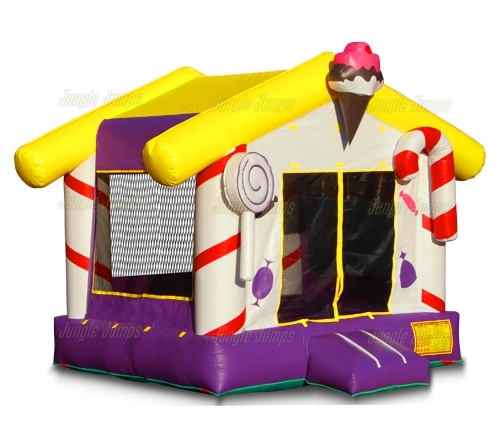 While you could simply allow the bounce houses to sit there and stay folded up, being able to earn a little bit of money by renting out the second house at a discounted rate allows you to earn some income rather than none. There are a number of different ways that you can earn money while, at the same time, offering your clients something that they can’t get anywhere else. If you are having a difficult time coming up with package ideas, as some of your best clients if they have any suggestions for you. You may be surprised at the ideas and packages that they come up with! Selecting the most appropriate delivery method for your inflatable business is a critical aspect of your company, and one that may need to be re-evaluated periodically. Your business is dependent on delivering your equipment efficiently and on-time, all at an economical price to you. If your inflatable business is a smaller scale operation, with limited products, servicing smaller events it will likely be most economical for you to deliver the inflatable equipment to events yourself. One option for delivering the inflatable products yourself is to rent a U-Haul for each event. This method will allow you to easily size your delivery needs accordingly based on each event’s requirements. Box trucks are another rental option for you to consider. As the name implies, these are large trucks shaped like boxes that are capable of holding a large amount. Box trucks are generally rented on a day to day basis, as purchasing them can be quite expensive. Another option for delivering the inflatables yourself is to rent or purchase a large pickup truck and trailer for towing. You can place certain items in the cab and tow the rest. When determining which method is most appropriate and economical for your business, keep in mind that a company truck with require you to carry business auto insurance as well. Another rental option is a trailer for towing. For this method you will need to either rent or purchase a large truck with adequate horse-power to pull the trailer. As your business grows, it may be more economical for you to invest in purchasing a business truck to transport the inflatables. If you decide to go this route make sure the vehicle that you purchase is sufficient to meet, or even exceed, you current business’ needs. Purchasing a vehicle will also allow you to include your company name and information on the vehicle, increasing your marketing reach and giving you a more professional appearance. When considering the most appropriate delivery method for your business, keep in mind your budget. Make sure the delivery method you choose fits your business needs. If you decide to purchase a vehicle you will need to have enough business to justify the expense. As your business grows and you add more inflatable products to your inventory, you may no longer be able to deliver them yourself. It may become necessary for you to hire a freight delivery company to handle getting your inflatables from point A to point B. Freight delivery companies charge based on weight, dimensions, and distance being traveled. If you are booking larger events, where multiple inflatables are being used, this may be the best delivery method for your business. There are a variety of national freight delivery companies that offer reliable service. It is best to get a quotation from several to find the most competitive services and pricing. Remember, delivery is a necessity to your industry, so do not take the decision lightly.